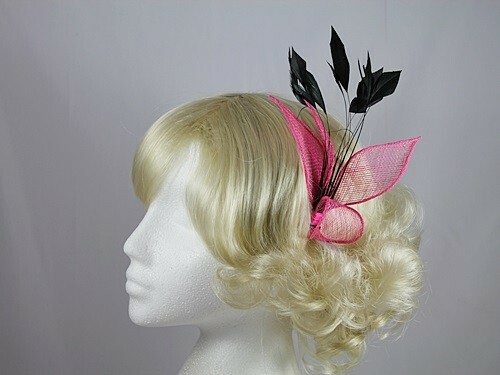 Aurora Collection Bright Leaves Fascinator from Fascinators 4 Weddings. 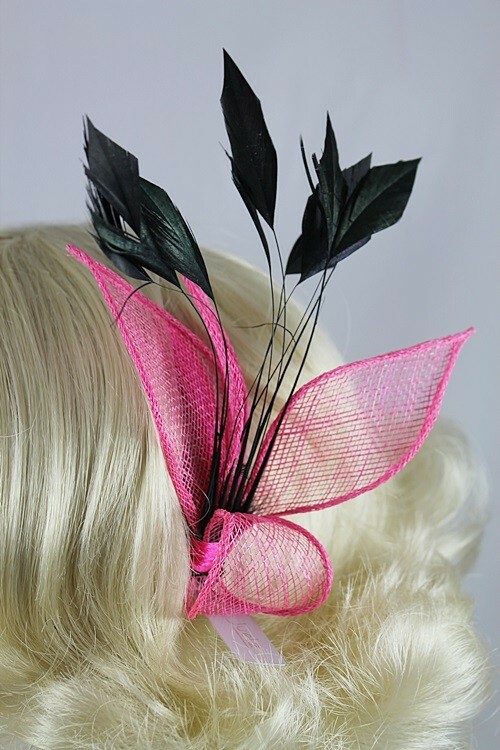 Bright sinamay fascinator with contrasting feathers. 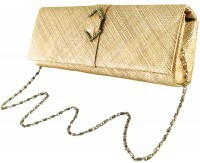 It attaches to the hair with a comb.